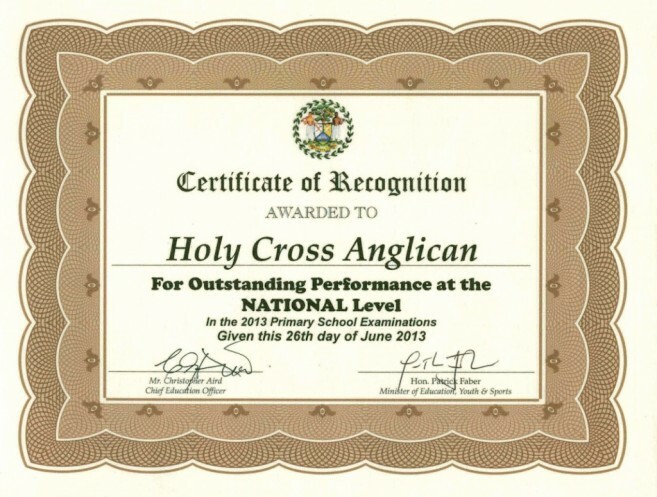 In this year’s Primary School Examination (PSE) award ceremony not only were the top student performers presented awards but schools were also recognized for their outstanding performance.On Friday, June 26th the Ministry of Education (MOE) presented two awards to Holy Cross Anglican School(HCAS). The awards were for outstanding performance at the national level in the 2013 PSE and for most improved school performance at the national level in the PSE from 2009 to 2013. 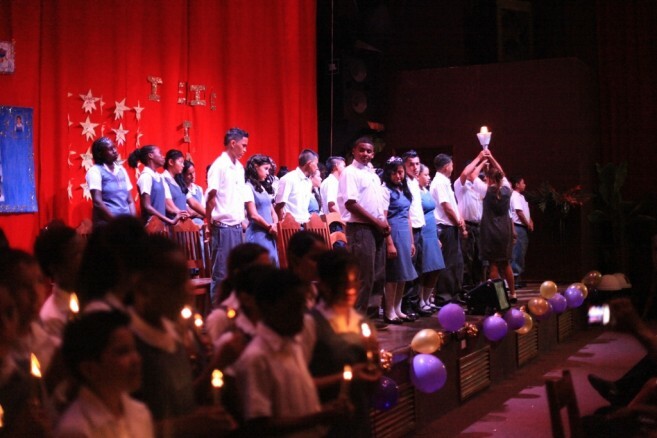 The awards were issued to schools across the country according to their performance in the 2013 PSE. 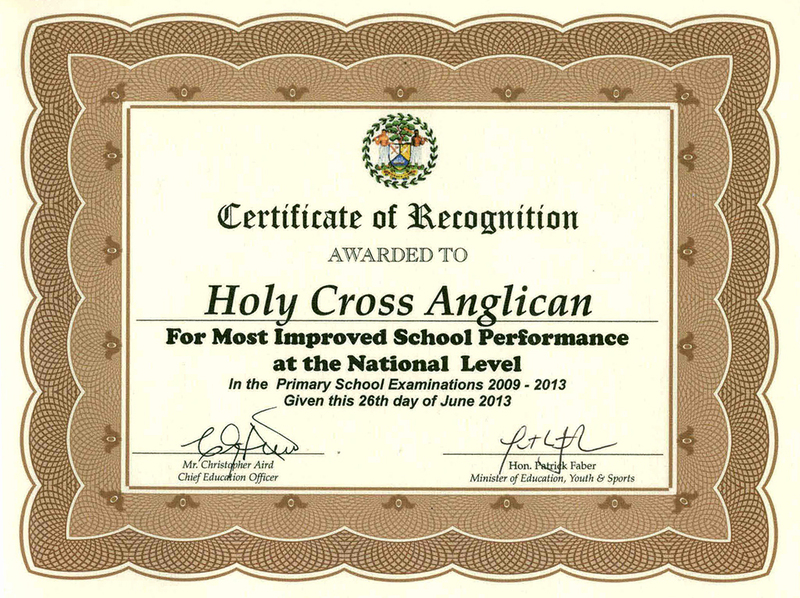 Holy Cross Anglican School (HCAS) was founded in 2006 to cater and provide primary education to the children of the impoverished area of San Mateo. Today HCAS is one of the most populated schools on the island. Not only is HCAS a growing school but the quality of education has been improving throughout the years. The awards that HCAS received have recorded significant improvement in the PSE results over the past seven years of existence.Figures show that in overall PSE performance HCAS has excelled by leaps and bounds. This year HCAS graduated 38 students, all passing PSE. Seven students received grade A, fourteen received grad B, thirteen received grade C and four received grade D.
The San Pedro Sun congratulates the faculty, staff and volunteer of HCAS on a job well done. Keep up the hard work and improvement! Doctor Love: Parents, work with teachers to educate your children! Students across the country sit P.S.E.